Vectorworks volunteers at Renewal and Remembrance. 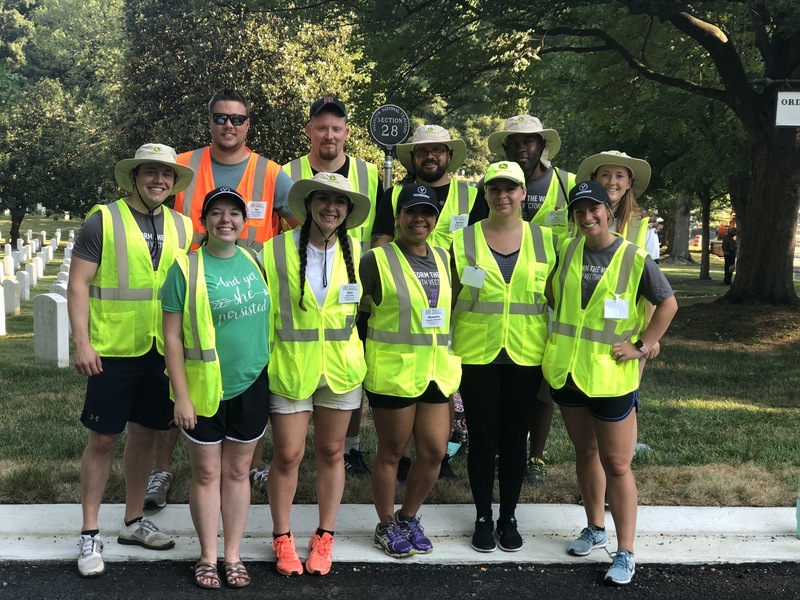 For the ninth year in a row, a group of Vectorworks volunteers traveled to Arlington National Cemetery in Virginia to participate. 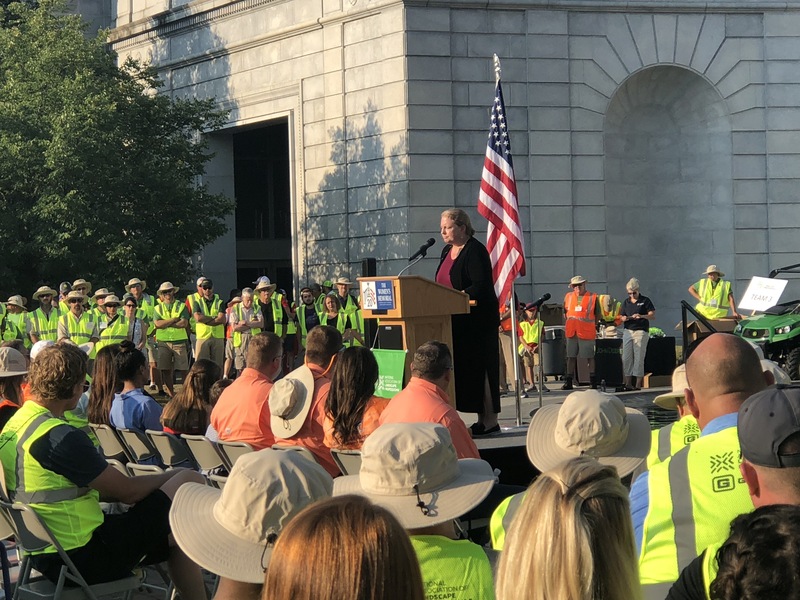 To kick off the event, all attendees gathered for an opening ceremony that featured several speakers, including: Jeff Buhler, NALP President; Colonel Jerry Farnsworth, Chief of Staff, Army National Military Cemeteries; and Tom Shotzbarger, Shotzbarger, Inc. In addition, this year’s keynote speaker was Priscilla E. Quackenbush, Lieutenant Colonel (Retired), United States Army Nurse Corps, who encouraged volunteers to pause during their service activities and notice how coins have been left on some of the headstones. A penny means you have simply visited with the deceased. A nickel means that you and the deceased trained at boot camp together. A dime means you served with the deceased in some capacity. A quarter means that you were with the deceased at the time of their death. After the speeches were completed, the volunteers broke out into teams and spent the morning mulching, upgrading sprinklers, cabling and installing lightning protection for the trees, pruning, planting, and liming and aerating the soil. The Vectorworks team was assigned the aerating task. John Eggleston, event chair, was impressed with the Vectorworks volunteers. 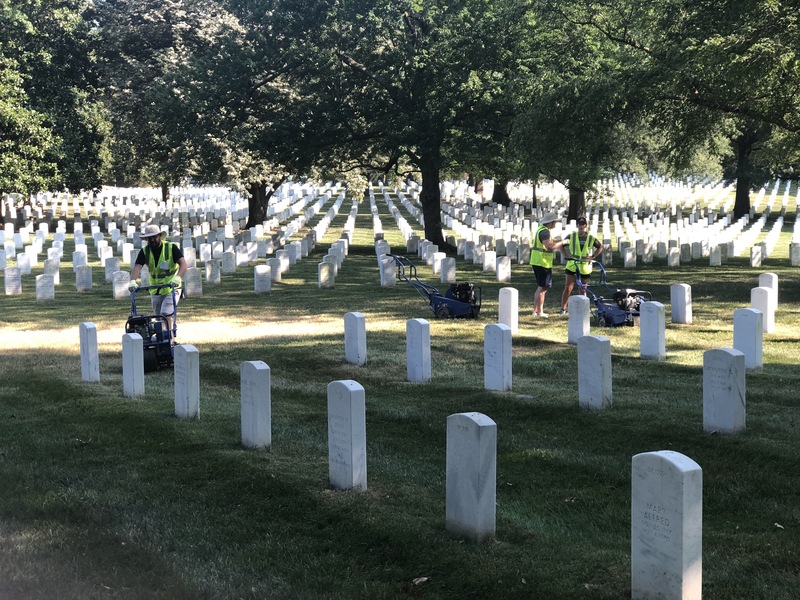 Through Renewal and Remembrance, the landscape industry lends their professional skills to remember those who have served our country in a respectful and noble way. And year after year Vectorworks employees are proud to be a part of it.